To save you time I have put what I think are some great video resources on the web. Some of the courses below are my own, and I included them because there isn’t a lot of good education on these subjects. Every link that is on here I use regularly, I like, and recommend them. Some of these links are referral links. Don’t worry it doesn’t cost you anything and it takes you to the same site and helps me out. Thanks in advance if you click them. If you have resources that you know of that should be on here please let us know by contacting us. –When I was just getting started the Vimeo school had an awesome collection of videos to teach me the basics of filming video. 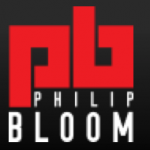 You’ll learn about lenses, camera bodies, depth of field, time-lapses, and you’ll get your first introduction to Phillip Bloom. I made this on-line course for people who are looking to get into the world of stock footage and start to make money with your travel video collection making a passive income. It packs tremendous value as I also cover gear and filming as a value-add. I enjoy this type of revenue stream as once you’ve organized your footage sites like pond5.com and shutterstock.com will do the marketing and sales for you and you will automatically receive a payment everyone through paypal. 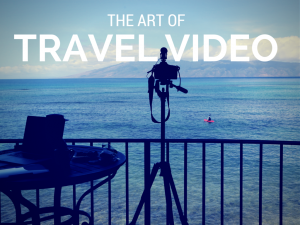 I created this course as there was no comprehensive Travel video course covering gear, filming, planning, editing, and publishing. There were plenty of photography courses, but non dedicated to video. Follow the link for a discount to the course. I was interesting that the Gopro was allowing people to make awesome videos in the water, extreme sports, and even in the air. However, not many people were teaching people how to do it. I was fortunate to get my drone early and develop my skills and experience early. 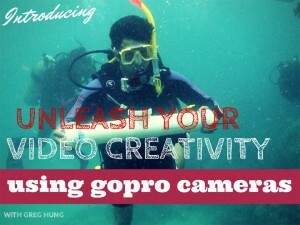 I put this course together to give you my secrets on filming in the water, car, and in the air. I first heard about Nimia from Robb Crocker, the author of The stock footage millionaire. Nimia is a platform that allows you store, showcase, and distribute your video footage. I was introduced to Chase first in my photography class because of his famous kung-fu photo and by another friend that shared a video interview he had with Ramit Sethi. I visit his blog and YouTube videos because of his Live show where he interviews interesting people to share valuable information. He also does cool videos where he shares things like his gear list. 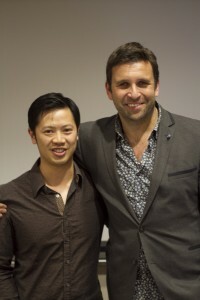 Phillip is one of the guys on the cutting edge of SLR cinema photography especially with the Canon SLR’s. He has an excellent blog that reviews the latest equipment that he takes out on field tests. He keeps it interesting with his British humor and no filtered language. I got a of early know on which Canon lenses to use and check his page regularly to figure out what is new in the world of SLR film. As I understand it Vincent shot a video called Reverie that was responsible for starting the Canon 5d Mark 2 SLR revolution. I go to Vince’s blog to check out his awesome gear kits that he breaks down into basic, advances, and his own edition kit. If you’re looking for the technical details on equipment and for keeping up with someone that makes movies with the most cutting edge equipment check his page. This site has some of the most regular updates in the film world. It has an awesome free PDF guide on getting started on SLR video and keeps me up to date on interesting developments in SLR cinemaphotography. If there is equipment I’m interesting in checking the price for, the details, and the reviews this is where I go. I consider their pricing to be the world market standard. If I’m in another country and want to check the price I go here. I’ve purchased my aerial drone from here. You can also sell used equipment here. Their YouTube videos are funny and informative. Hosted my Kai from Hong Kong complete with his English British accent I check his videos for reviews on the latest equipment. Once you’re ready to start making some passive income with your videos Pond5 is a great start. Their site was easy to use, upload, and their review turn around is pretty fast. I’ve got my largest collection of videos here and I get paid from this site. 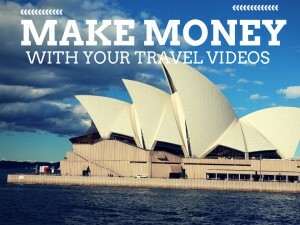 I’ve created an on-line video course on “Making Money with Travel videos” if you want the complete process on getting started. The link I’ve provided is an Affliate link so you help me out by clicking the link. Shutterstock was the second site I started using to sell my travel videos. Once you’ve started to share your video collection on-line it doesn’t take much more time and effort to start selling on another site. Because I choose a non-exclusive model I can sell on this site too. Shutterstock is a public company and has a high Internet ranking so I get paid out from this site. The site is easy to use once you figure out the system and they have a great blog for contributors. The link I’ve provided is a referral link, so if you click on it it helps me out a bit. Thank you in advance. If you’re looking for quality music for your video project then this is a great site to check out. You can preview the music before you buy it, it’s a trustworthy site, and an easy purchase experience. They also have a really informative blog on Final Cut Pro X video editing software. When I was traveling from Vancouver to the US I used Lens rentals to rent equipment. I traveled to the Grand Canyon, Las Vegas, San Francisco, Napa Valley, and Seattle and used their equipment. What did I rent from them? I rented a Canon 5d Mark 3, expensive Canon lenses, and a Rhode shotgun mic. Their pricing was cheaper than Canada and they had better selection. Roger provides his opinion and cut to the chase review on equipment. Renting from them was easy. You can check the availability and price of equipment and have them ship it to almost any address in the US including Fedex centers. I’ve even purchased used equipment from them, as they are transparent about the condition of their equipment. I go hear to get quality free music from independent artists that I can use for commercial use. 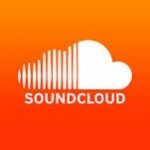 Be sure to search for music that you can use for commercial use.